New baby is on the way in our family! Such a special time! 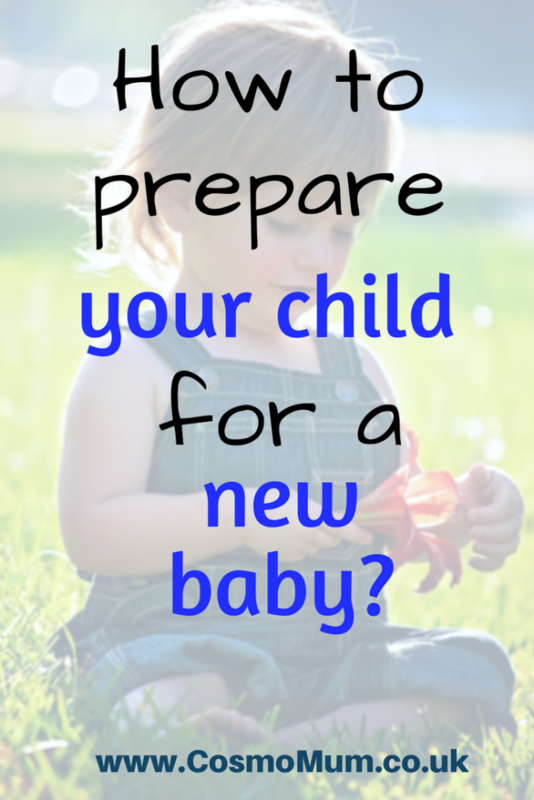 With all the excitement, I also worry a bit – how will my son react to the new baby? Oscar will be 3 years old very soon. Will he be jealous, will he be looking for more attention? At the moment he doesn’t like to share his toys with other children and he bursts into tears and tantrums if I hold a baby! The joys! I’ll need to think how to prepare him for the arrival of his new sibling. I’m planning to do a few things and if you’re expecting a baby and have a child (children) too, maybe it will give you a few ideas. I’ve bought ‘There’s a house inside my mummy’ book even before I was pregnant. I read it once to Oscar and it made me really emotional then, but now I’m actually pregnant I love reading it to Oscar and as he sees my growing bump, he can more and more relate to the book. I’m planning to get a book about becoming a big brother. Hopefully that will help him understand more about the imminent arrival of his new sibling. I will explain to Oscar that he won’t be able to play with the baby straight away, but he will be able to talk to baby, sing songs to her, give cuddles and kisses and when his baby sister grows a bit, they’ll be able to play together and chase each other in the garden! Well, at least that’s what I imagine! Still not sure what I’ll get my son as a gift from a new baby but thinking maybe I’ll have a little gift bag containing a book, a sticker/colouring book, a little car – a police car or a fire truck as he loves them so much at the moment and maybe matching t-shirts ‘big brother’ and ‘little sister’? I have a few friends who have little babies at the moment, so I’m planning to see them often and I hope that will help my son get used to the idea of babies. I will explain to him that his baby sister will be this tiny at the beginning too! 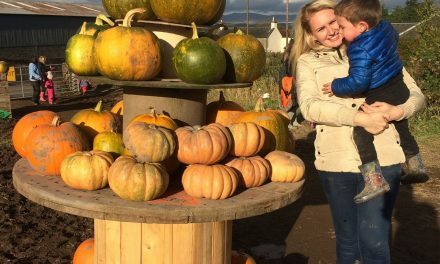 To be honest, I had no other option but taking Oscar to all midwife appointments and scans as most of the time my husband was working. Before going to the scan, I was explaining to Oscar that we will see a doctor (was easier to say doctor than sonographer) and that the doctor will look at mummy’s tummy and we will see a baby on hospital TV monitor. That was a very simple explanation and it suited him at the time. All this helped him to connect the idea of mummy’s big tummy and baby! My toddler son now knows he will have a baby sister and he repeats that from time to time. Me and my husband think that we most likely have decided on the new baby’s name so I started teaching Oscar to say it. I love neutral colours for babies. We kept all the clothes from Oscar and the majority will be white, grey and blue. I love baby girls in blue. However, we will surely get some new clothes and other bits for this new baby so I’ll make sure Oscar will come baby clothes shopping with me and I will ask him if he likes these outfits for his baby sister. It’s just nice to get your first born get involved in the preparation for the arrival of the new baby. So that’s my plan what I’ll do and things I’ve already done in the preparation of my toddler meeting his new sibling. What would you add? If you have more than one child, what has worked for you in the past?